It would be ridiculous to imagine the same ignominy would be visited on MacDonald if he were a black sociologist making critical remarks about white people. Assuming that he were a designated victim, he would be allowed to compose for profit and prestige diatribes against white Christian males, possibly from a cushy university post at whatever salary illustrious defamers of Euro-Americans are now earning. And if he were a Jew or Christian attacking Christians as the agents of human evil, the now browbeaten MacDonald could make a king’s ransom at some well-heeled institute or as a feature writer for The New Republic or New York Times. 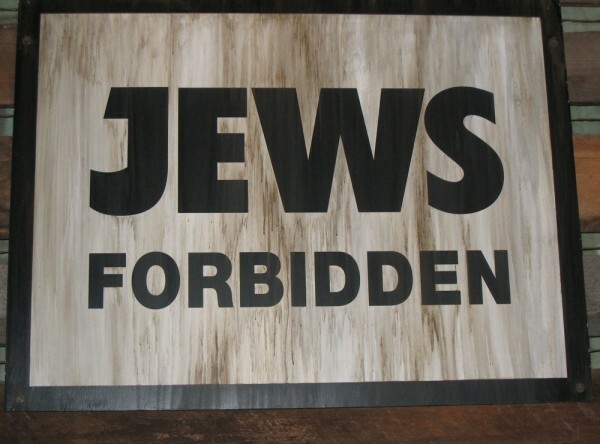 Plainly MacDonald is not playing by the establishment rules when he observes that Jews have worked at weakening those non-Jewish societies in which they have lived. Although this thesis seems to me to be a bit too generalized, I have no objection to letting MacDonald go on trying to prove it. In his recently published anthology of essays, Cultural Insurrections, it would be proper to note that MacDonald makes assumptions here that I have questioned in my review of his three-volume, monumental work on the Jews since Moses. I continue to find some of the cognitive disparities he stresses between Ashkenazi Jews and Euro-Americans to be overstated or at least under-demonstrated. If they were in fact as stark as MacDonald insists they are, I would believe that Jews have a right to treat Euro-Americans as natural inferiors or as people probably unfit to sustain their civilization (or what remains of it) without a Jewish master class. I am also skeptical about the possibility of extrapolating from the way a particular Jewish subculture has behaved in the U.S., Canada, and parts of Europe in the twentieth and twenty-first centuries to how Jews have conducted themselves everywhere at all times. It also seems that certain Jewish behavioral patterns MacDonald outlines are not uniquely Jewish. Other minorities such as Protestant non-conformists and later Irish Catholics in England (and in the U.S.), Huguenots in France, and Old Believers in Tsarist Russia, have shown exactly the same propensity for radical social causes, partly as acts of defiance against what they viewed as regimes that had failed to accord them full legal and/or social recognition. Sephardic and German Jews who came to America in the eighteenth and nineteenth centuries seemed hell-bent on joining upper-class Protestants and they usually disappeared into the dominant gene pool within a few generations. I am not convinced that Jewish behavior toward Christians follows a biologically determined strategy aimed at the control of resources. My lifelong impression from being around them is that Jews don’t like Christians because of historical grievances, just the way Irish Catholics continue to rage against Protestant Yankees for real amd imaginary offenses inflicted on their ancestors. Although friend-enemy distinctions are evident here, it is doubtful that these dividing lines operate strictly according to biological conditioning. And it seems even less likely that they are shaped by the natural desire to control resources, in competition against other groups. Much of what MacDonald cites as Jewish behavior is hostility, mixed with anxiety, rather than competitiveness. MacDonald is illustrating culturally subversive activities that go well beyond any attempt to achieve group competitive advantage measured by socio-economic success. Assailing the moral foundations of a Christian middle-class society as pathological and anti-Semitic, a tendency MacDonald proves Jewish intellectuals have repeatedly engaged in, is not simply an attack on the material resources of the dominant society. What MacDonald highlights looks like unfriendly behavior; and one may certainly question the biological reductionism used to explain it. 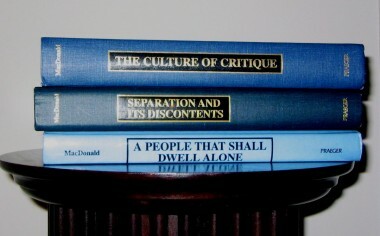 Having raised these critical points, I should also mention that MacDonald builds a thoroughly cogent case that the creation of “modernity” and the launching of a succession of indignant social crusades against bourgeois Christian civilization by Jewish intellectuals and political activists has usually betokened some degree of malice. But as I mentioned above, and as MacDonald is well aware, Jews are not the only minority that has attempted to subvert dominant outside cultures. They’re just better at doing this than any other group. 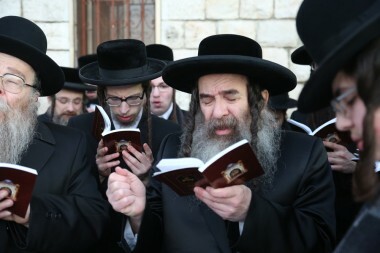 Jewish intellectuals and activists excel at agitating in the name of some presumed moral high ground, acting like the cunning or resentful priestly class, to which Nietzsche compared the Jews in Genealogy of Morals. In Nietzsche’s analysis, Jews are good at transmitting “slave morality,” without being (immediately) infected themselves. MacDonald’s newest anthology offers further evidence of what he understands as the Jewish practice of burrowing from within to weaken the cultural coherence of gentile societies. And he offers abundant proof that this burrowing has and is continuing to occur. Whether he is dealing with the predominantly Jewish Frankfurt School and its cultural influences, the role played by Jewish activists in opposing controls on immigration throughout the last hundred years, the penetration and takeover of the American Right by the neoconservatives, or the pressures placed on politicians and political parties by Zionist organizations, MacDonald creates the impression that Jews have worked collectively toward two ends: lessening the cohesion of gentile society and promoting specifically Jewish national ends. An argument I have used in the past to counter his generalizations is that “not every Jewish community at all times and in all places have acted in this way”; nonetheless, MacDonald could respond to my objections by pointing out that his analysis applies to American Jews for at least the last several generations. And he offers evidence that the same behavioral patterns as the one he discerns among the predominantly Eastern European Jews in the U.S. could already be seen among the relatively assimilated German Jews since their emancipation in Europe. The same radicalization could be perceived among German Jewish intellectuals going back to the beginnings of Marxian socialism. And the cultural Marxism that has now taken off in a big way had its origin among alienated or embittered German Jews of the interwar period, who later emigrated to the U.S. The present multicultural fixation that has taken Western Europe, Canada and the U.S. by storm was largely the creation of German Jews. The institution of learning at which I work and the German Anabaptist denomination to which it was long connected are paradigmatically PC. Furthermore, Lancaster County, where our college is located, registered the largest vote for Obama in the Democratic primary of any county in Pennsylvania that’s not predominantly black. This result was owed much to Church of the Brethren, whose members in their zany anti-racism and open-borders postures make Abe Foxman sound relatively sane. The chance that such radicalized Protestants, who live in their own social bubble, would have picked up their lunacies from any Jew (me perhaps?) is next to nil. They came by their madness on their own, as a “peace church,” and as late entrees into the modern age after having spent an eternity on isolated farms in the Pennsylvania countryside. Like Jimmy Carter, Jim Wallis, Bill Moyers, and most of the Catholic hierarchy on the question of immigration, these Anabaptists exemplify aspects of Christianity that are totally compatible with cultural Marxism and the politics of Western suicide. They do not need Jews, blacks, or North African Muslims to teach them self-destructive behavior, any more than Swedes or Spaniards need the villains in MacDonald’s script to hand over their countries to hostile Muslims from North Africa. The most interesting point for me in MacDonald’s volume is his presentation of movement conservative goyim. He is absolutely on the money in documenting their servility in relation to their neoconservative puppet-masters. The most startling aspect of this relation is the degree to which the servile class allows itself to be instructed. Irving Kristol, Charles Krauthammer, Douglas Feith, and other neoconservative spokesmen have indeed convinced their pliant enablers that Israel is to be defended as an “ethno-cultural creation,” while the American nation is to be seen as possessing an “ideological identity,” founded on global human rights principles and on an expansionist foreign policy. 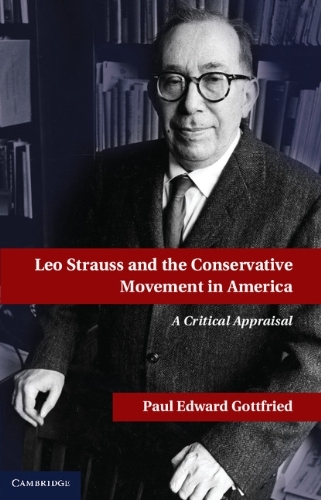 MacDonald cites the remarkable tribute produced for neocon guru Leo Strauss by his admiring disciple Werner Dannhauser, a tribute that extols Strauss, the famous mentor to global democrats, as “a good Jew. He knew the dignity and worth of love of one’s own. 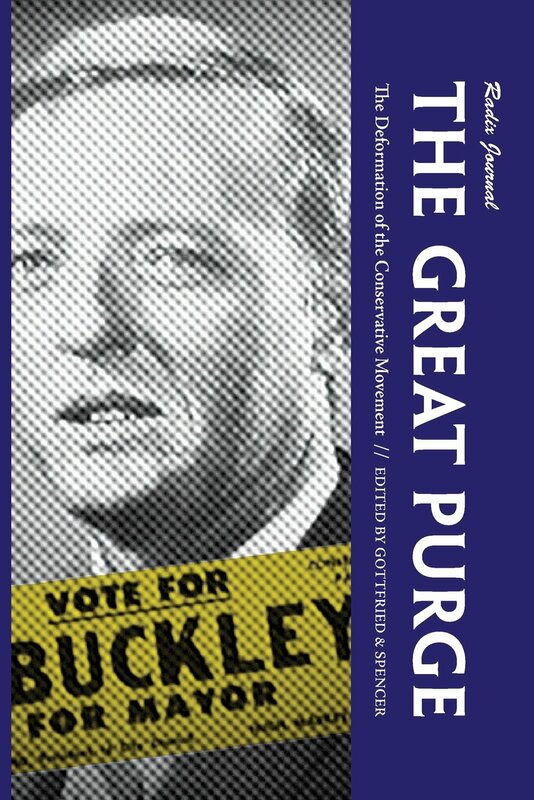 Love of the good is higher than love of one’s own, but there is only one road to truth and it leads through love of one’s own.” MacDonald asks rhetorically whether Anglo-Saxon Protestant “conservatives” could express such sentiments about their own group without Jewish liberals or neocons attacking them as nativists or incipient Nazis. McDonald cites the public letter drafted by William Kristol’s Project for the New American Century in 2002, calling for a “move against Saddam Hussein,” on the grounds that “Israel’s fight against terrorism is ours.” MacDonald calls special attention to the prominent Jewish neoconservatives who appended their signatures to this call for a war of aggression on behalf of Israel. But what is perhaps even more striking are the non-Jewish signatories, such as William J. Bennett, Frank Gaffney, Ellen Bork, and the professionally insecure, very young editor of National Review, Rich Lowry. In most of these cases one encounters demonstrations of fealty paid to the neoconservative barons who run FOX News, Wall Street Journal, Heritage Foundation, ISI, and the minds of a majority of Republican voters. But pace MacDonald, these neocon lords and their servants are not the voices of the entire Likud coalition in Israel. They speak for Natan Sharansky, Benjamin Netanyahu, and others even further on the Israeli nationalist right, many of whom have been taught to mumble neocon gibberish about how “democracies have never fought wars” and about how “only democracies are legitimate governments.” A point Israeli political analysts Leon Hadar (see especially his book Sandstorm) and Martin van Creveld have argued for several years now is that neoconservatives and their gentile policy-think-tank hangers-on do not speak for the majority of Israelis, who certainly did not favor the American invasion of Iraq. (Iran might well be a different matter.) It was American neoconservatives, supported by the Christian Right and their Israeli contacts, who planned Bush’s Middle Eastern policy. In the end, MacDonald demonstrates the same when he investigates the Israeli associations of Richard Perle, Paul Wolfowitz, and Douglas Feith. 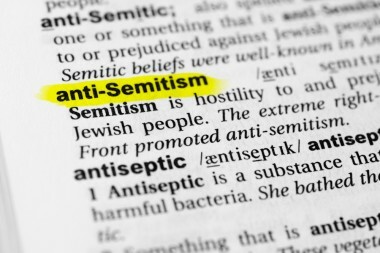 The Evangelical Cal Thomas and the “conservative Catholic” “theologian” Michael Novak invariably cite in their columns and speeches the alleged return of anti-Semitism on the antiwar left. When Novak came to speak at my college six years ago, he attacked movie producers in Hollywood—Jewish leftists to a man—as “anti-Semites.” The audience listened to him in understandable astonishment, for it could not escape even our news-averse trustees that Novak was saying something glaringly ridiculous. Moreover, in their invectives against Obama’s pastor Jeremiah Wright, FOX News analysts and announcers played on Wright’s association with the “anti-Semitic Louis Farrakhan.” That Wright and Farrakhan don’t much like Jews and Judaism seemed to matter more than the more obvious fact that the pair hate the Jews specifically as subgroup of Whitey. Such pandering may result from the fact that movement conservative gentiles are almost as infected as other gentiles by the politics of white Christian guilt. They can only embrace their country to the extent that it renounces an “ethnic-cultural” identity, a character that they happily concede to Jews and others, but which they have collectively renounced for the dubious honor of being a “propositional nation.” Naturally (what else?) the assumption of this contrived identity sets the stage for their country being overwhelmed by legal and illegal Third World immigrants. It also means waging whatever wars the neocon master race tells their gentile collaborators is “good for Israel” and/or helps to spread “democracy.” Unlike MacDonald, I see no compelling reason to blame this lunacy exclusively or even predominantly on the two percent of the population which is Jewish, without noticing that the majority group, including those who describe themselves as “conservatives,” have lost their cotton-picking minds. 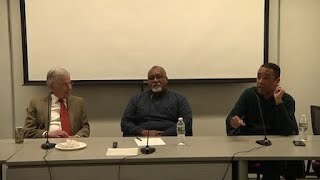 10 Comments to "In Search of Anti-Semitism"
What are we Whites to do? Punish our own guilty ones, or put the blame on the Jews, as they are both foreign and guilty? In a fight, it is also best not to corner people and to leave a possibility of retreat. By blaming the Jews, the guilty Whites can get off scot free, by claiming in public that the Jew manipulated them into being anti-White. Fabulous summation, Mr. Gottfried. I wouldn’t have understood it to be entirely true and accurate until I spent fifty adult years correcting my own mistakes of perception. It is unfortunate that there is not a significant body of Jewish opinion to match and check the consequence of the Jewish lunatic left and the neocon sapping operation of the right. What Jews lack is a love of liberty commensurate with their finer qualities. There is a little cottage industry which distorts the history of Israel’s and Jewish Americans’ support for the Iraq adventure. Actually, most Jews, not just most Israelis, supported the war at the time, too. American Jews are overwhelmingly Democrats, but in January 2003 a poll commissioned by the American Jewish Committee found that 59% of Jews supported war against Iraq, compared to other Democrats, who opposed it by 52% to 44%. The Israel lobby may not be always representative of the larger community but its instrumental role in the Wars to Obliterate Israel’s Enemies was not at odds with any mainstream Jewish opinion. After WWII, Naziism and the Holocaust Jews have become permanently damaged, morally, intellectually, psychologically, spiritually. They do not and cannot behave like normal human beings. Modern multiculturalism is argued to have first wielded power as early as 1890 with “Froudacity,” and was powerful enough by 1910 to award Marie Curie two Nobel prizes for affirmative-action reasons. You need to apologize to Mme Marie Curie and to all Poles. Marie Curie was a pioneer and deserves respect. But the rise of multiculturalism can’t be understood without understanding its early manifestations. Well-stated, Paul. It seems to me that “elites” everywhere concentrate the same traits: high intelligence, high neurosis, family issues and hence, a propensity to either lose themselves in business or to become outspoken liberals. The West begins to heal the minute it stops looking for external causes of its decline and admits that its decline is a mental state of individualism and the corresponding philosophy of liberalism which weaponizes it. Probably they’re traits that are useful in social climbing? The propositional nation clap-trap should be rather easy to refute. The 100% British signers of the Declaration of Independence said they created the United States for themselves and THEIR POSTERITY.